VELOSO’s Execution Excellence and Successful Humans @ Work® philosophy connects the dots from various business domains, hence combines and further develops concepts and ideas from many different thought leaders. Because we incorporated it all into the ActionPlanner software, you can now enjoy the benefits of Execution Excellence best practices while using our intuitive cloud-based subscription service. Below you will find the management domains, thought leaders and concepts that supports the value created from our existing feature-set, as well as inspires us to deliver an awesome product roadmap in the future. 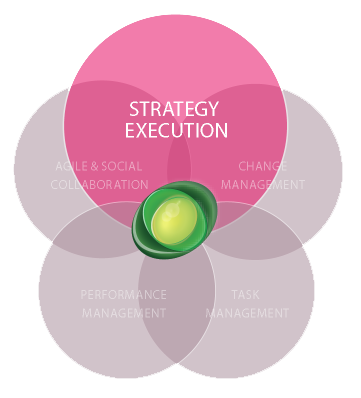 As a business professional who has tried to execute strategy, it probably comes as no surprise to you, that an estimated 80% of all strategic objectives are not successfully implemented, hence there is a huge execution gap. There has been many approaches the past 2 decades to bridge the execution gap, from perceiving strategy execution as a process, a model, a system to a network of promises that needs managing. Thought Leaders we are inspired by include Larry Bossidy, Ram Charan, Robert S. Kaplan, David P. Norton, Michael Porter and Stephen Bungay. Execution Excellence Governance including a process, roles, color codes and customizable terminology, roadmap structure, security setting, user permissions etc. 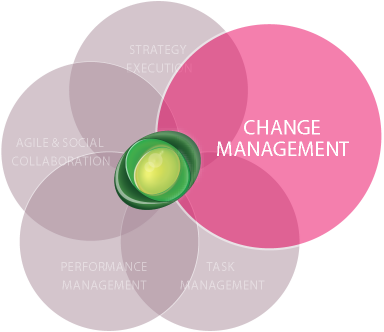 Change management is a leadership discipline that focuses on preparing, initiating and supporting a change process from a present state to a desired state on an individual, team and/or company level. Because of the systematic nature of change, much holistic thinking and various models have been developed to structure data and make sense of the desired change. Thought Leaders we are inspired by include John Kotter, W. Edwards Deming, Michael L Smith and James Erwin and Bruce D. Henderson. Why descriptions on initiatives to justify the desired change, understand the greater purpose with the initiative and enable sense making – which is an enabler for motivation. A why articulation also can help identify the specific problems that needs solving, hence create a sense of urgency. 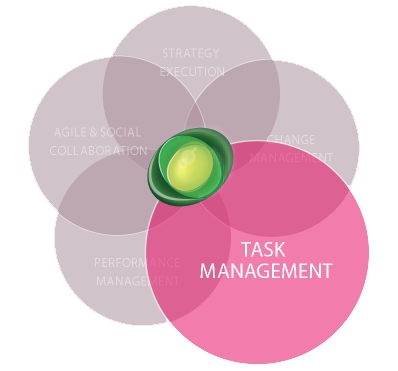 Task management is the process of managing a task through its life cycle, involving planning, testing, tracking, reporting and executing the task. Task management can help individuals achieve goals or teams collaborate and share knowledge for the accomplishment of team goals. Tasks are also differentiated by complexity – from low to high and duration – from short to long. Effective task management means managing all aspects of a task, including its status, priority, deadline, human resources assignment, recurrence, dependency and notifications. Thought Leaders we are inspired by include Davis Allan and Hermann Ebbinghaus. Translate tasks into initiatives, milestones and actions depending on complexity. Performance management includes activities which ensure that company goals are consistently being met in an effective and efficient manner. 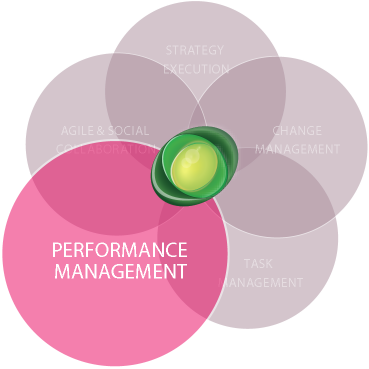 Performance management can focus on the performance of an individual, a team or an entire company. Thought Leaders we are inspired by include Donald Sull, Charles Spinosa and Locke & Latham. 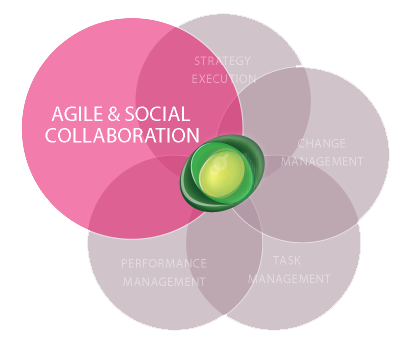 Social collaboration refers to processes that help individuals or teams interact and share information to achieve common goals. Such processes increasingly take place on the internet, where collaboration and sharing of information becomes easier and in real-time, enabled by the use of digital tools. Happiness at work has traditionally been seen as a potential by-product of positive outcomes at work and social collaboration, rather than a pathway to business success. Nowadays, the happiness factor is viewed as one of the major sources of positive outcomes in social collaboration. In fact, companies with higher than average employee happiness, exhibit better financial performance and customer satisfaction. Thought Leaders we are inspired by include Shawn Achor, Joanne H. Garvin, Richard O. Mason and Sonja Lyubomirsky. Individuals can choose to share a birthday in a common birthday calendar. Look out for an awesome product roadmap to have people smile more and increase the level of happiness at work. Individuals can choose to share a birthday in a common birthday calendar. Look out for an awesome product roadmap to have people smile more and increase the level of happiness at work. 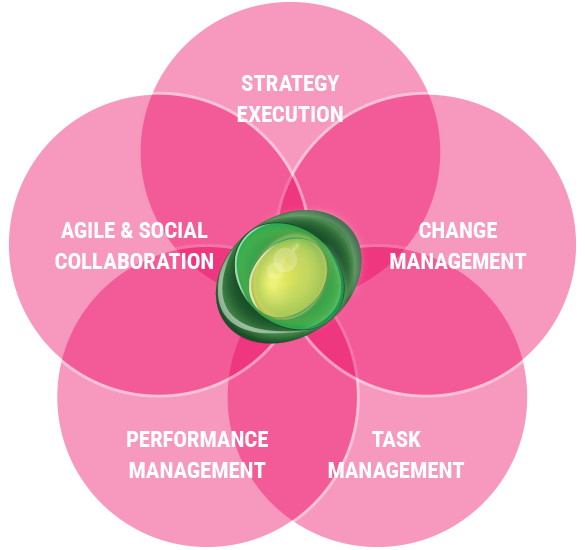 We want to unfold and develop the Execution Excellence community with you, so join us in the team execution revolution and help change the world towards more successful and happier people at work to enable happier people at home.